Curtain Wonderland has been expanding rapidly since it opened its first store in Mt Gravatt, Brisbane, in 1971. Focusing on high-quality fixtures and materials, the company now holds a strong position in the Australian market. MACRACK has supported Curtain Wonderland’s growth from the beginning. With the opening of each new store and warehouse, and the relocation and growth of those warehouses, MACRACK has supplied storage systems to suit Curtain Wonderland’s product. From their small warehouse in Mt Gravatt to the huge production facilities they now have in Coopers Plains, MACRACK has helped to make Curtain Wonderland’s relocation and expansion an easy transition. Expanding their warehouse storage was simple and affordable. 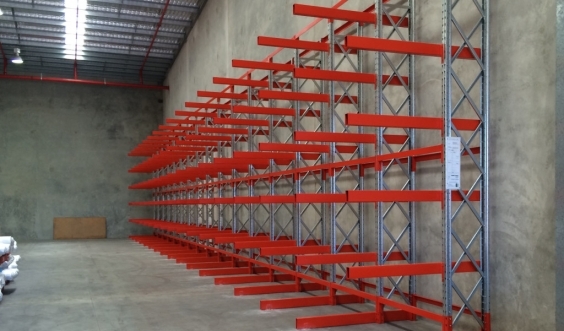 Because our racking systems have a lifetime warranty and we can recertify our products, it is simple to add to an existing storage system or move warehouse. We offer this warehouse relocation service as a part of our ongoing commitment to working with our clients to make their business growth as easy as possible. We abide by all industry rules and regulations, and make sure that our clients’ racks are fully certified and ready to use when we hand over. Curtain Wonderland requires storage for mass amounts of fabric. The rolls of fabric need to be stored appropriately to prevent damage and maximise stock organisation. Warehouse vinyl racking stores rolls of fabric horizontally on industrial shelves. 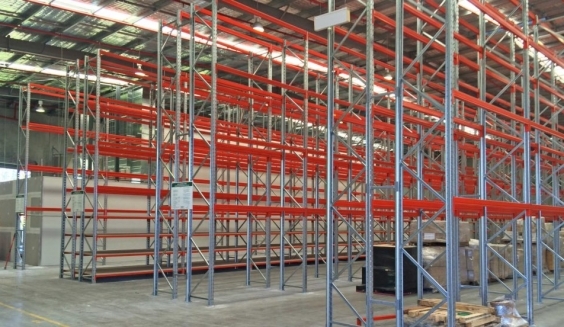 This pallet racking derived solution combines frames and beams to create the levels going up, featuring timber board on top to prevent any sag. 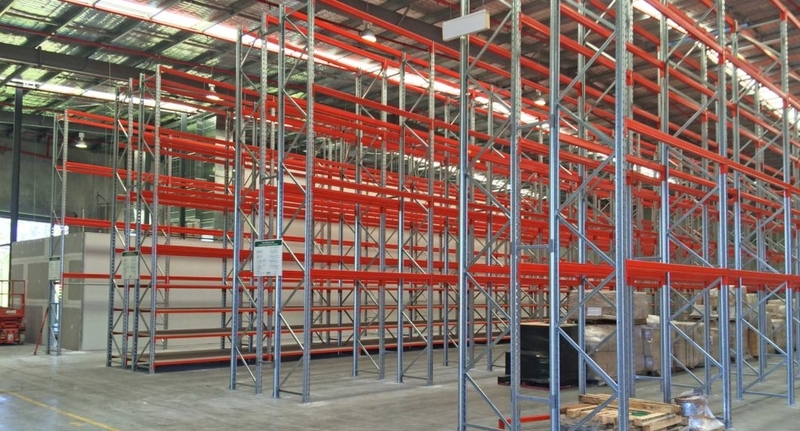 The depth of the racking shelf is typically 3600mm as that is the depth of a fabric or carpet roll, but these can be adjusted to suit your product. The width is based off the fabric roll diameter and how many units you need to store. 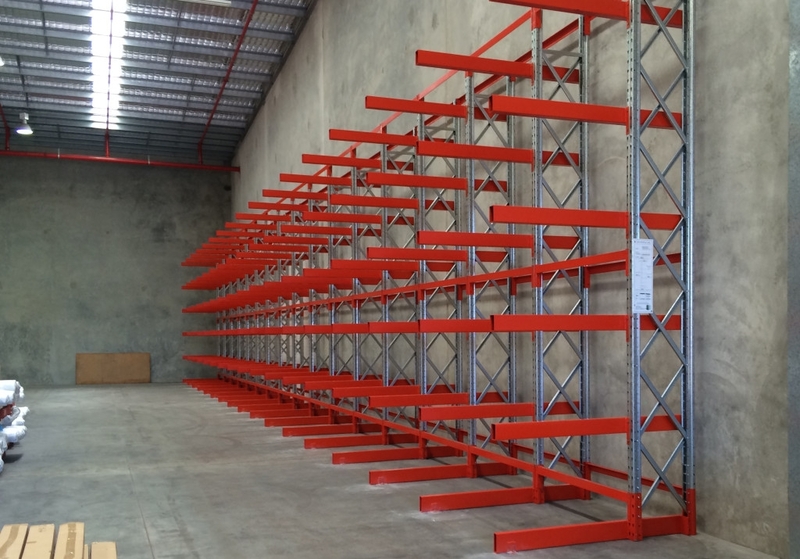 MACRACK ensures the racking beams and frames can withstand the fabric roll weight load, and with the strength and durability of our racking systems, this is rarely an issue. We use our cantilever rack system to store Curtain Wonderland’s long products flat on their side. Curtain wonderland uses an industrial cantilever system to store their curtain rods and other long extrusions they need for their finished product. Our cantilever system allows them to store 4-6m packs of materials as the load is spread over many arms. 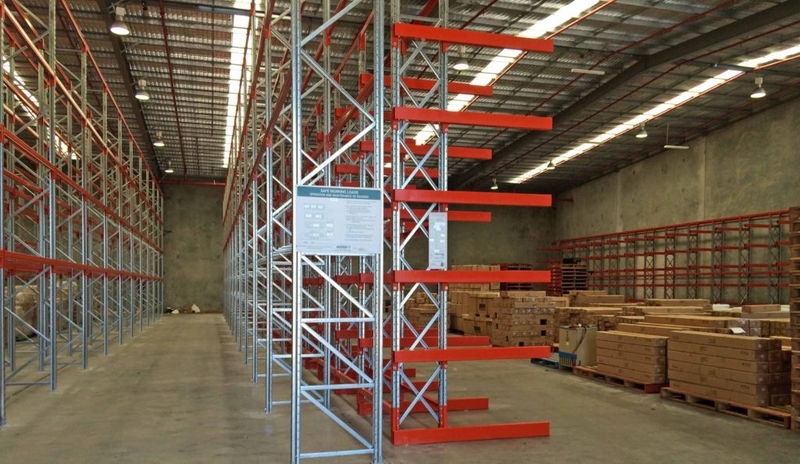 These warehouse storage systems are highly versatile, letting you choose the number of storage levels and frame height you need. Being such a customisable warehouse storage system, it’s no surprise it’s so popular.